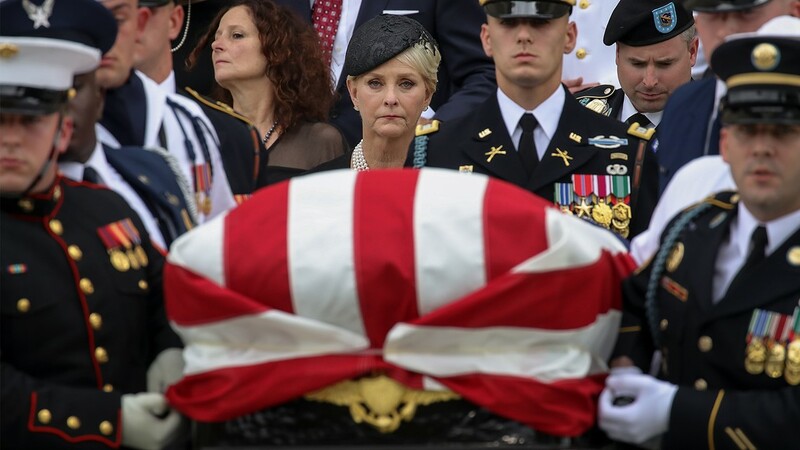 Cindy McCain looks on as a joint military service casket team carries the casket of the late Senator John McCain following his funeral service at the Washington National Cathedral, September 1, 2018 in Washington, DC. 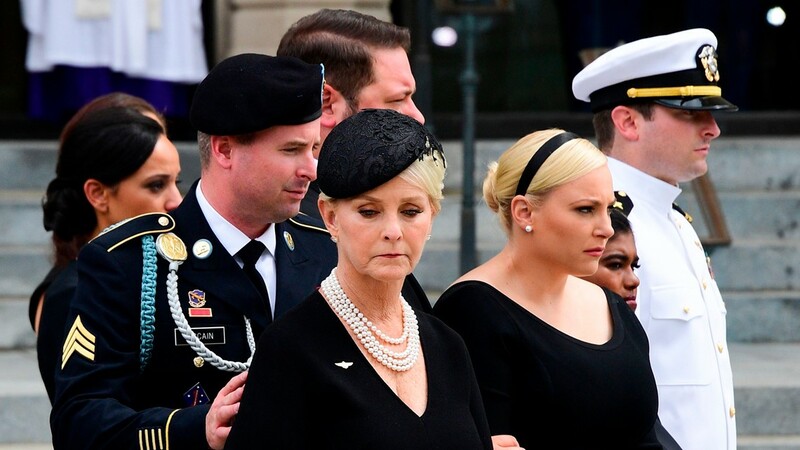 Cindy McCain (C) the widow of US Senator John McCain and her sons and daughters look on after a Military Honor Guard placed the casket of US Senator John McCain into a hearse at the end of his memorial service on September 1, 2018. 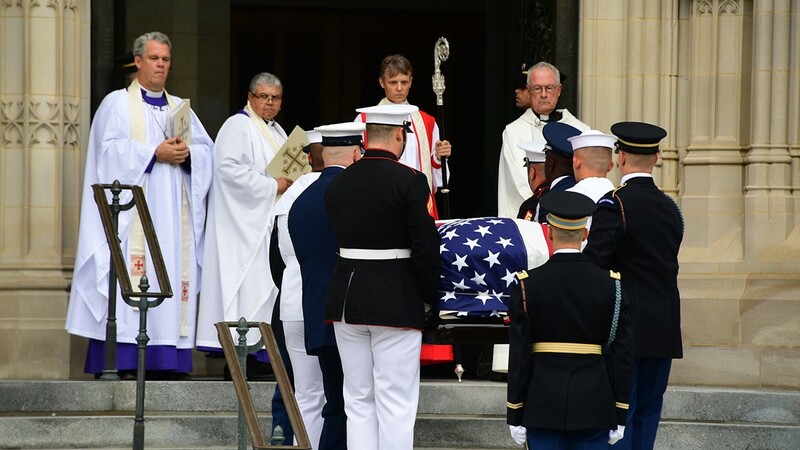 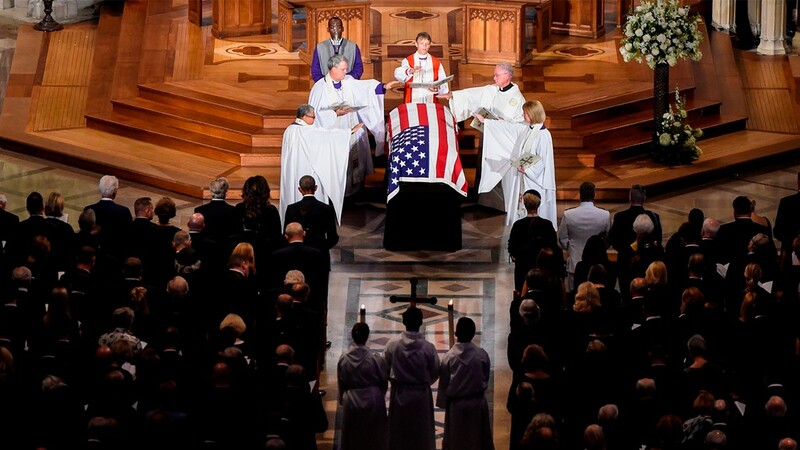 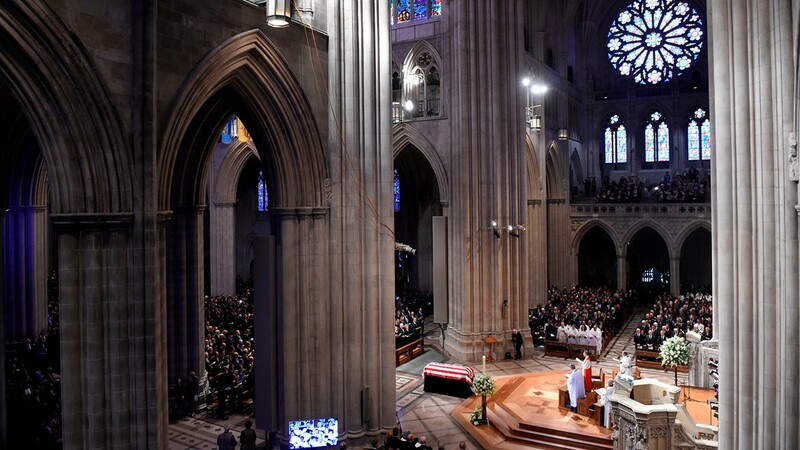 Members of the Church pray over the casket of the late US Senator John McCain, Republican of Arizona, during the National Memorial Service at the Washington National Cathedral in Washington, DC, September 1, 2018. 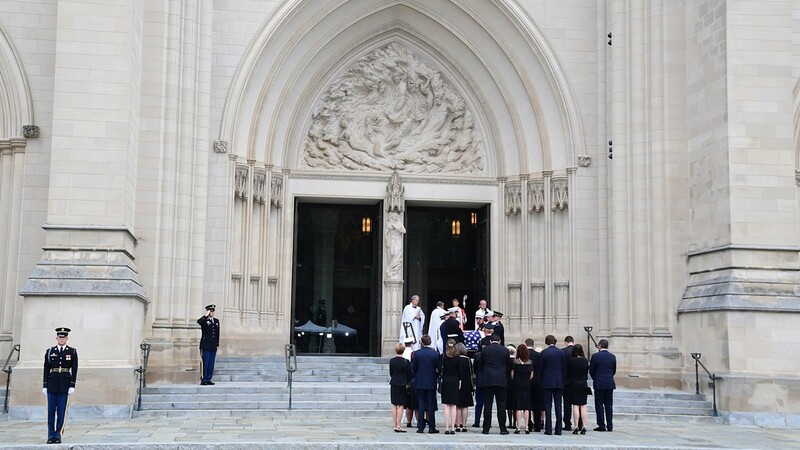 A Military Honor Guard, followed by the McCain family, places the casket of US Senator John McCain into a hearse at the end of his memorial service for at the Washington National Cathedral in Washington, DC, on September 1, 2018. 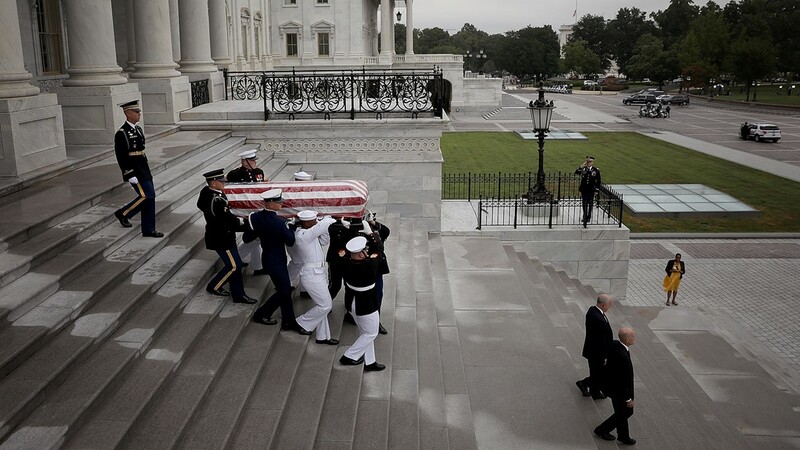 The casket of the late US Senator John McCain, Republican of Arizona, is carried out after the National Memorial Service at the Washington National Cathedral in Washington, DC, September 1, 2018. 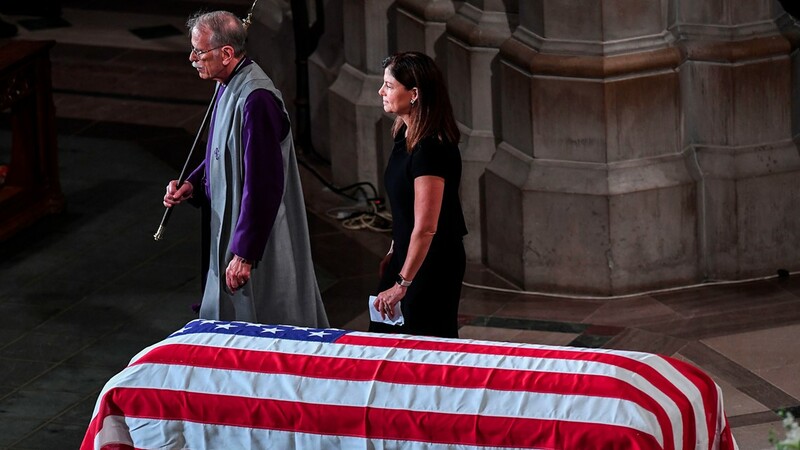 Former US Senator Kelly Ayotte (R) walks past the casket after speaking during a memorial service for US Senator John McCain at the Washington National Cathedral in Washington, DC, on September 1, 2018. 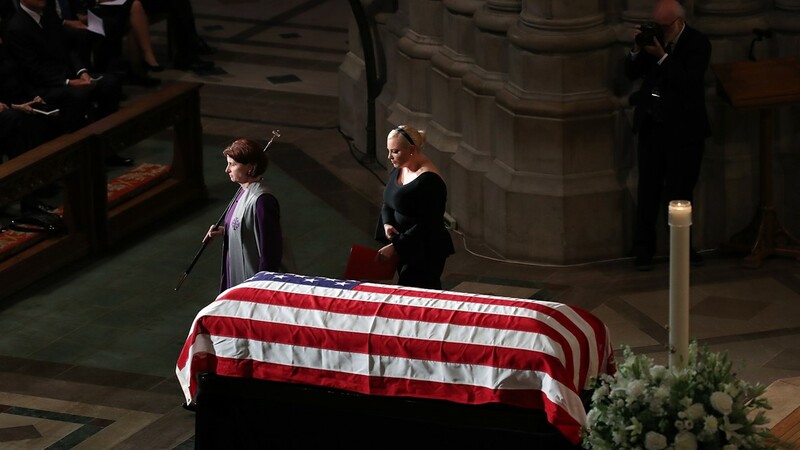 Meghan McCain leaves the podium after speaking during the funeral service for U.S. Sen. John McCain at the National Cathedral on September 1, 2018 in Washington, DC. 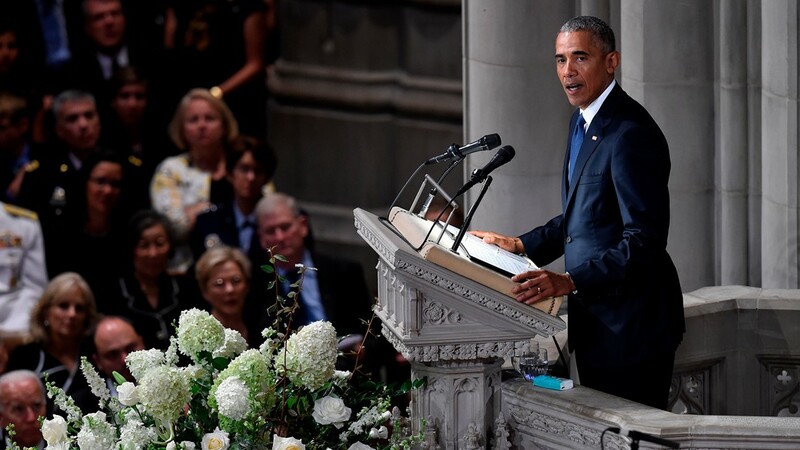 Former US President Barack Obama speaks during a memorial service for US Senator John McCain at the Washington National Cathedral in Washington, DC, on September 1, 2018. 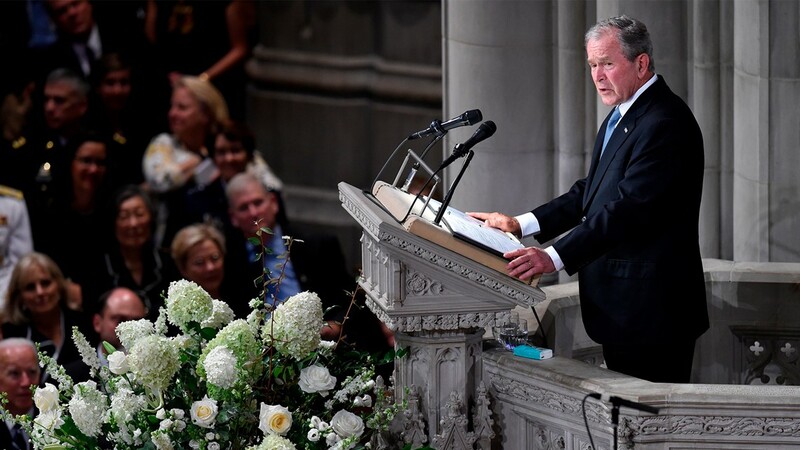 Former US President George W. Bush speaks during a memorial service for US Senator John McCain at the Washington National Cathedral in Washington, DC, on September 1, 2018. 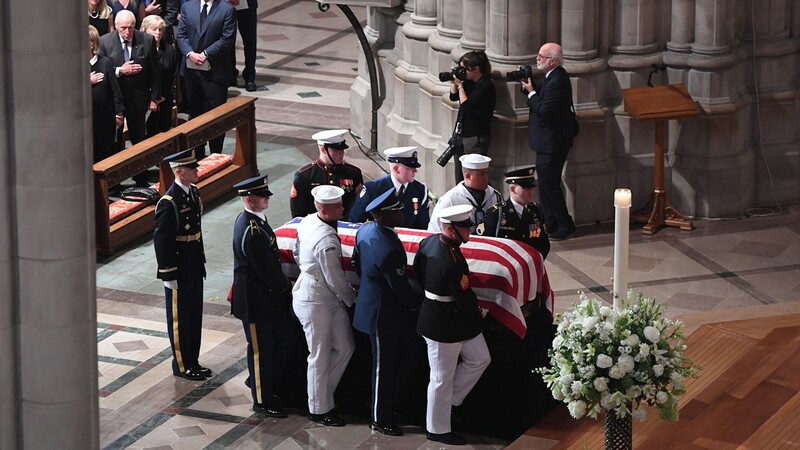 A Military Honor Guard carries the casket of US Senator John McCain into the Washington National Cathedral for a memorial service in Washington, DC, on September 1, 2018. 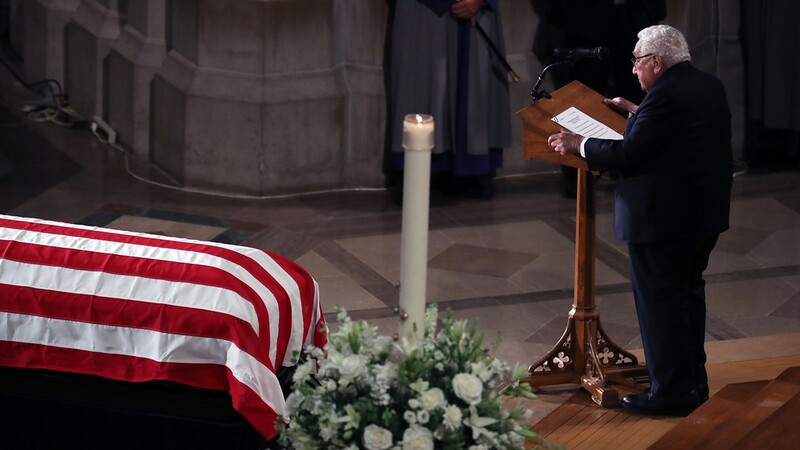 Former Secretary of State Henry Kissinger during the funeral service for U.S. Sen. John McCain at the National Cathedral on September 1, 2018 in Washington, DC. 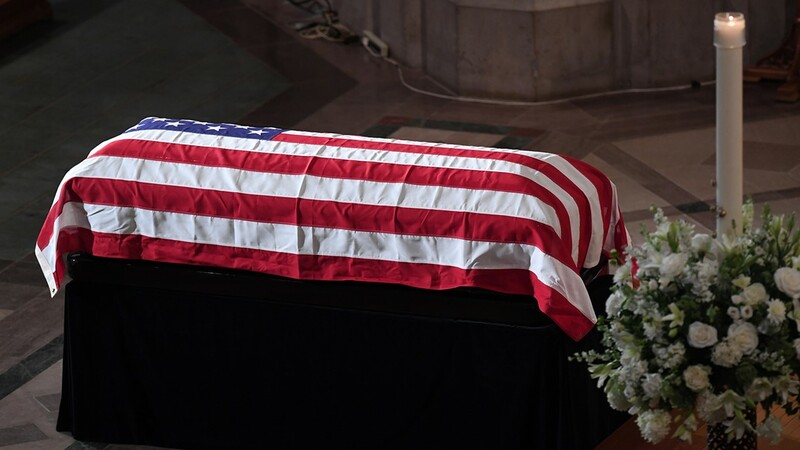 The casket of late US Senator John McCain, Republican of Arizona, is seen during the National Memorial Service at the Washington National Cathedral in Washington, DC, September 1, 2018. 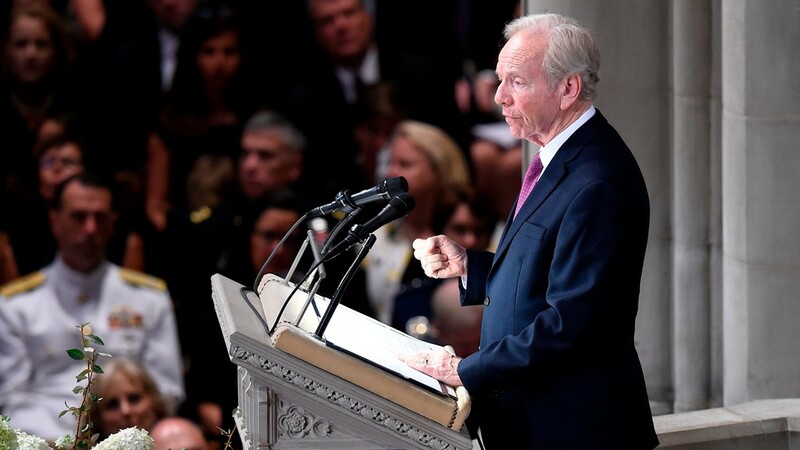 Former US Senator Joe Lieberman speaks during a memorial service for US Senator John McCain at the Washington National Cathedral in Washington, DC, on September 1, 2018. 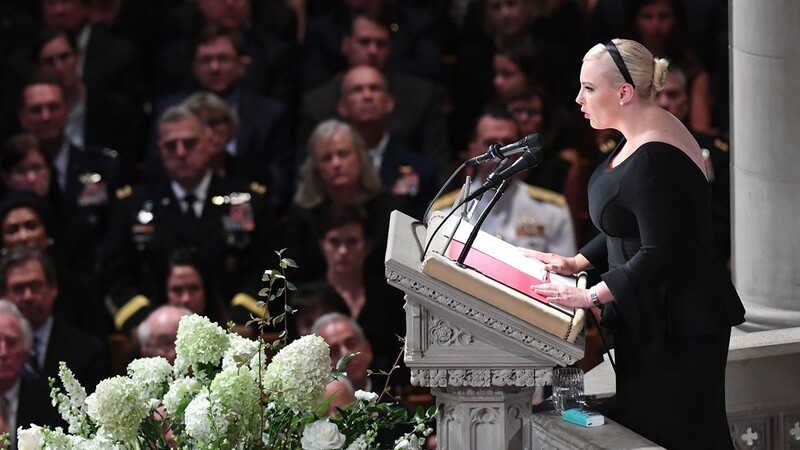 Meghan McCain, daughter of US Senator John McCain, speaks during a memorial service for her father at the Washington National Cathedral in Washington, DC, on September 1, 2018. 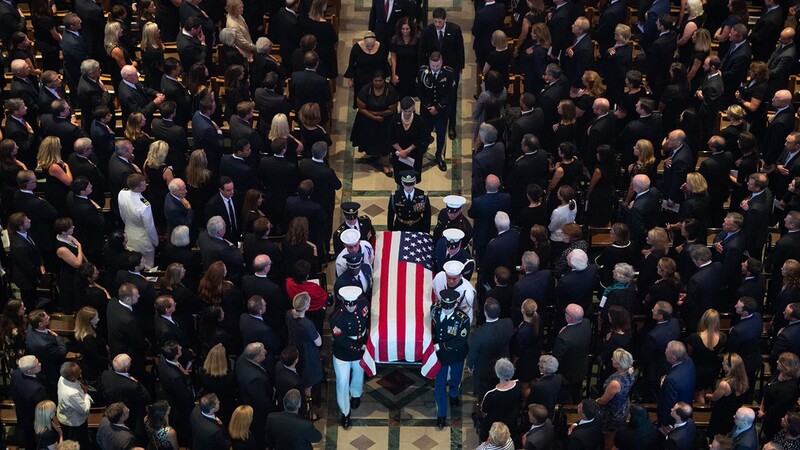 People attend a memorial service for US Senator John McCain at the Washington National Cathedral in Washington, DC, on September 1, 2018. 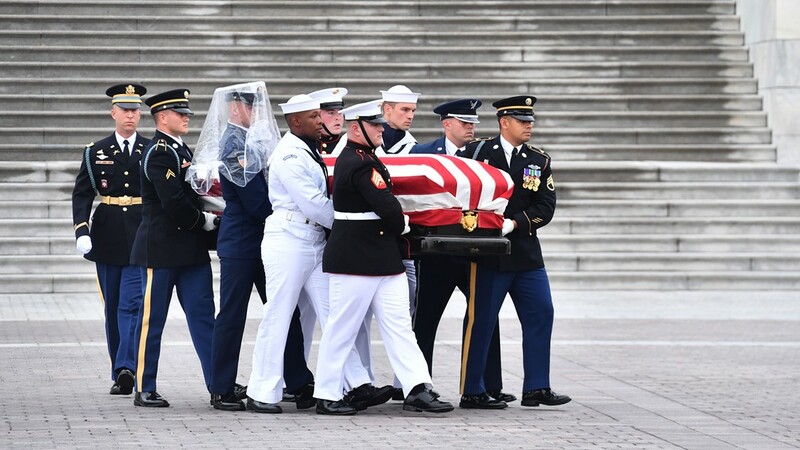 A military honor guard team carries the casket of late Senator John McCain (R-AZ) as it arrives at the Washington Cathedral for a religious service on September 1, 2018 in Washington, DC. 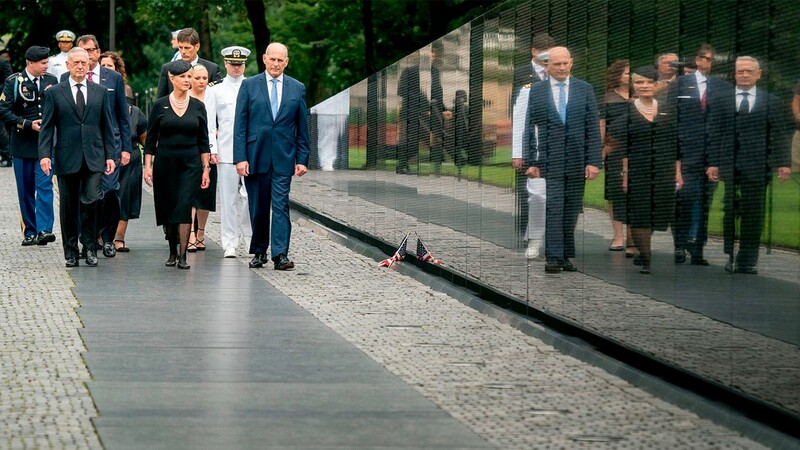 Family members of Sen. John McCain, watch as his wife, Cindy McCain (R) accompanied by Chief of Staff John Kelly (3rd R) and Defense Secretary Jim Mattis (2nd R) lays a wreath at the Vietnam Veterans Memorial in Washington on September 1, 2018. 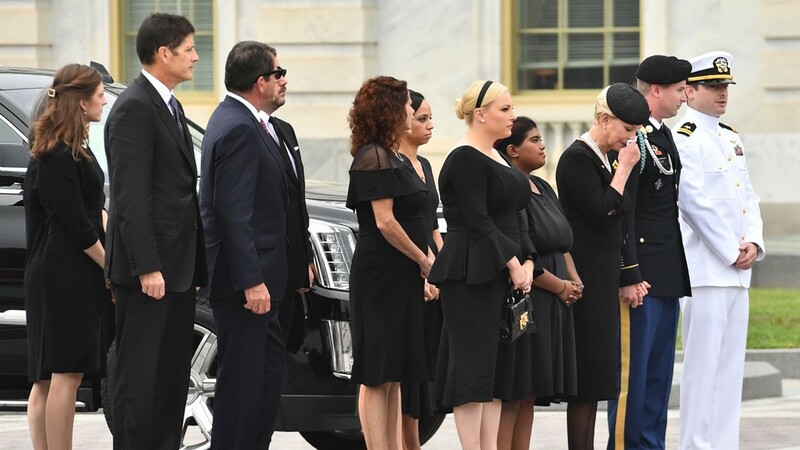 Members of the McCain family watch joint service members carry the casket of Senator John McCain from the US Capitol to a motorcade that will ferry him to a funeral service at the National Cathedral in Washington, DC, on September 01, 2018. 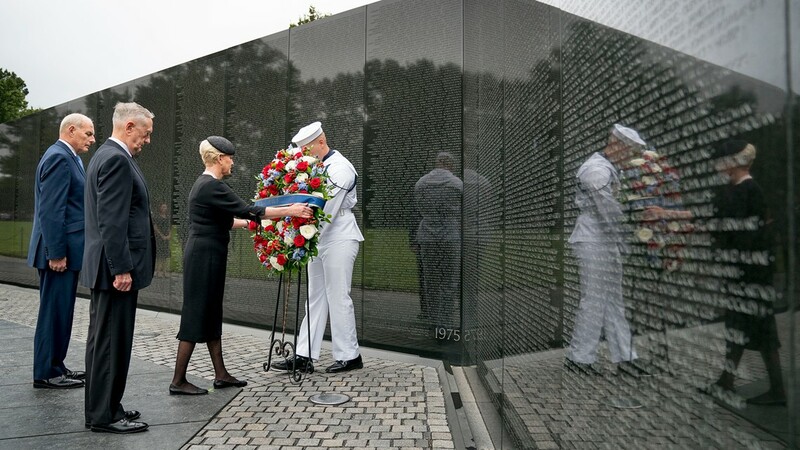 Cindy McCain, wife of US Senator John McCain, accompanied by US Defense Secretary Jim Mattis (L), lays a wreath at the Vietnam Veterans Memorial on September 1, 2018, in Washington, DC. 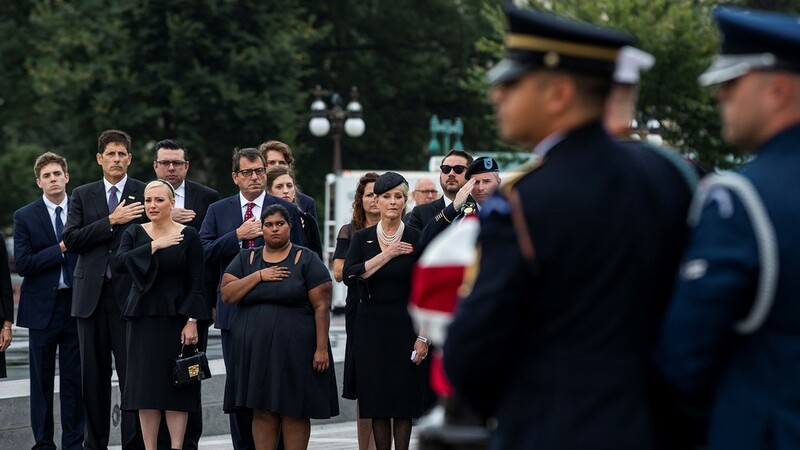 Bridget (L) McCain and Meghan McCain, daughters of Senator John McCain, watch as Cindy McCain, lays a wreath at the Vietnam Veterans Memorial in Washington, on September 1 2018. 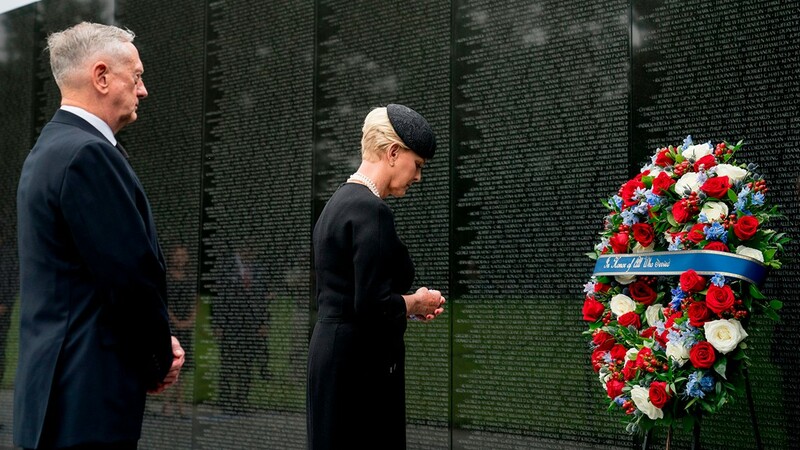 Cindy McCain (C), wife of US Senator John McCain, accompanied by White House Chief of Staff John Kelly (R) and Defense Secretary Jim Mattis (L), arrives to lays a wreath at the Vietnam Veterans Memorial on September 1, 2018, in Washington, DC. 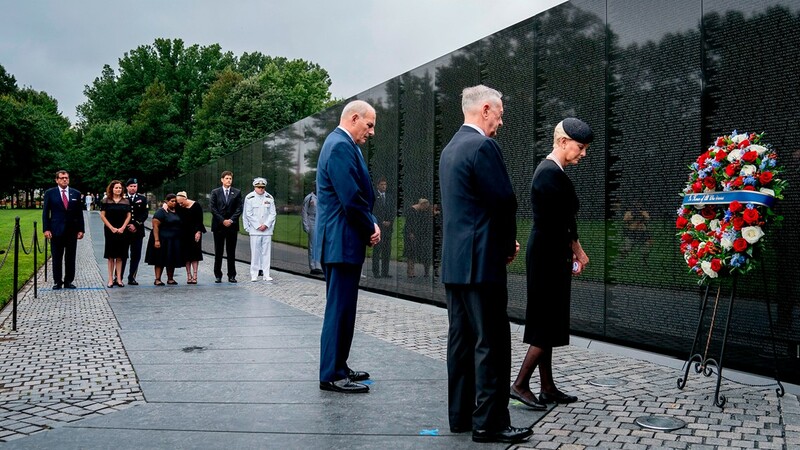 Cindy McCain, wife of US Senator John McCain, accompanied by White House Chief of Staff John Kelly (L) and Defense Secretary Jim Mattis (2nd L) lays a wreath at the Vietnam Veterans Memorial on September 1, 2018, in Washington, DC. 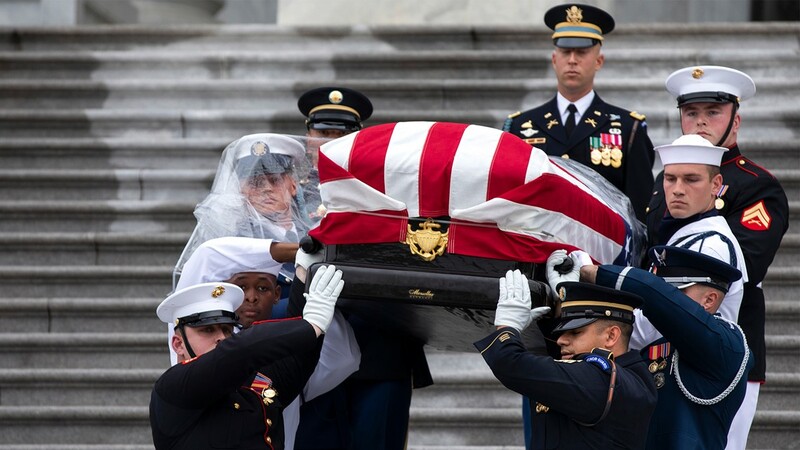 A Military Honor Guard carries the casket of US Senator John McCain from the US Capitol in Washington, DC, on September 1, 2018. 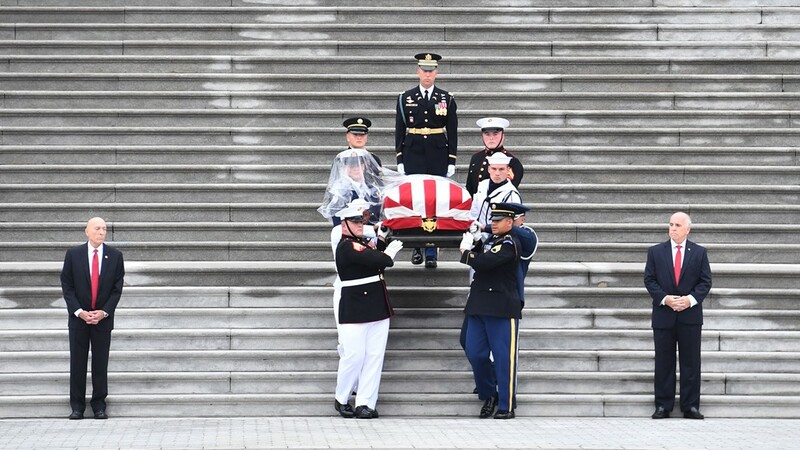 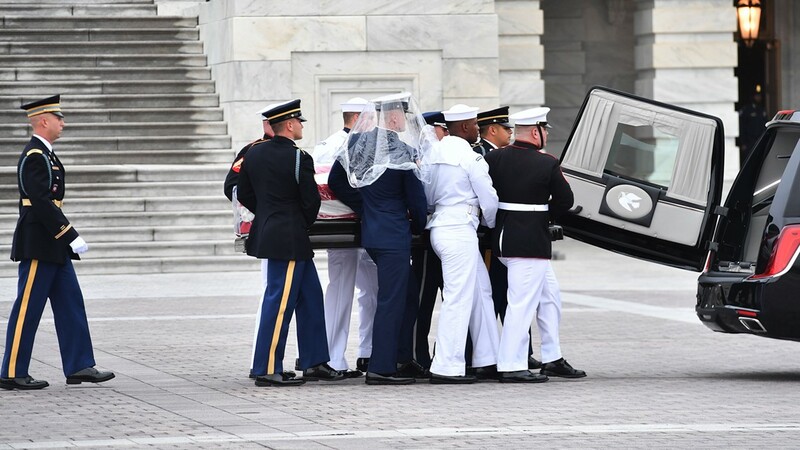 A military honor guard team carries the casket of the late-Sen. John McCain (R-AZ) from the U.S. Capitol September 1, 2018 in Washington, DC. 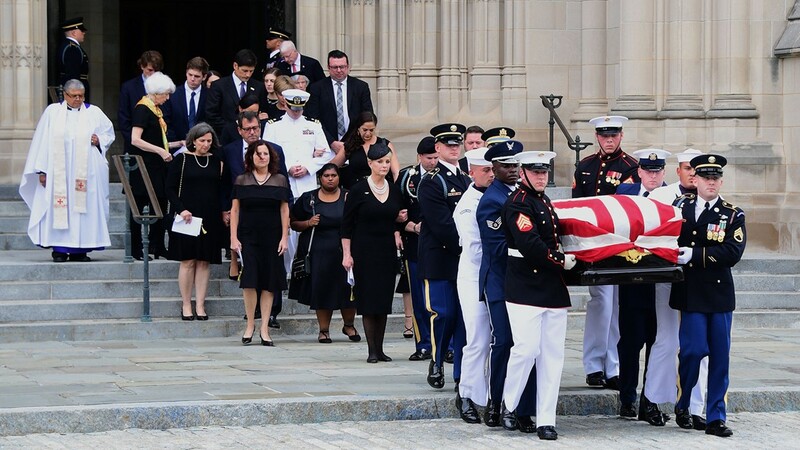 The family of US Senator John McCain watches as a Military Honor Guard carries his casket from the US Capitol in Washington, DC, on September 1, 2018. 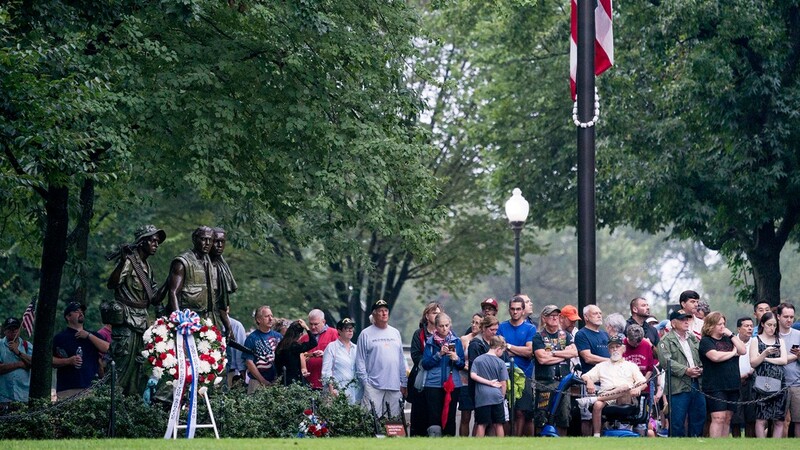 A crowd gathers before Cindy McCain, wife of Senator John McCain arrives to lay a wreath at the Vietnam Veterans Memorial in Washington on September 1, 2018.